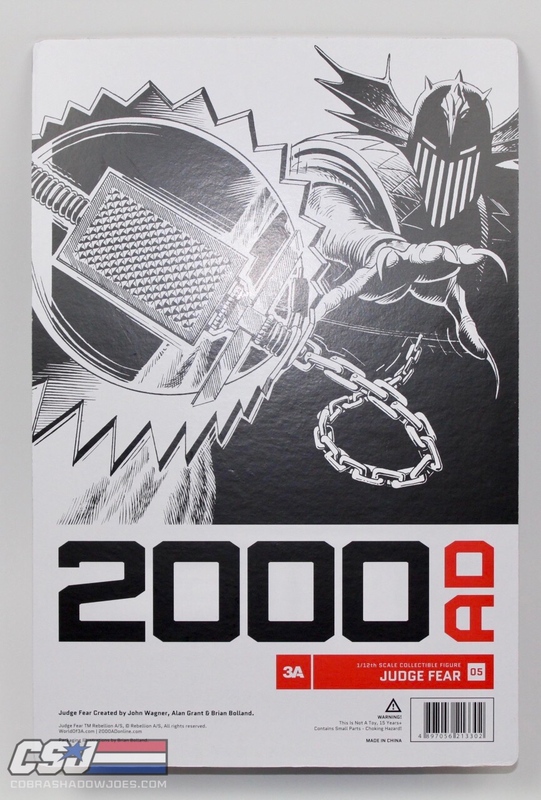 The packaging used for ThreeA's 1/12 figures is a standard very thick backer card with figure bubble in front. 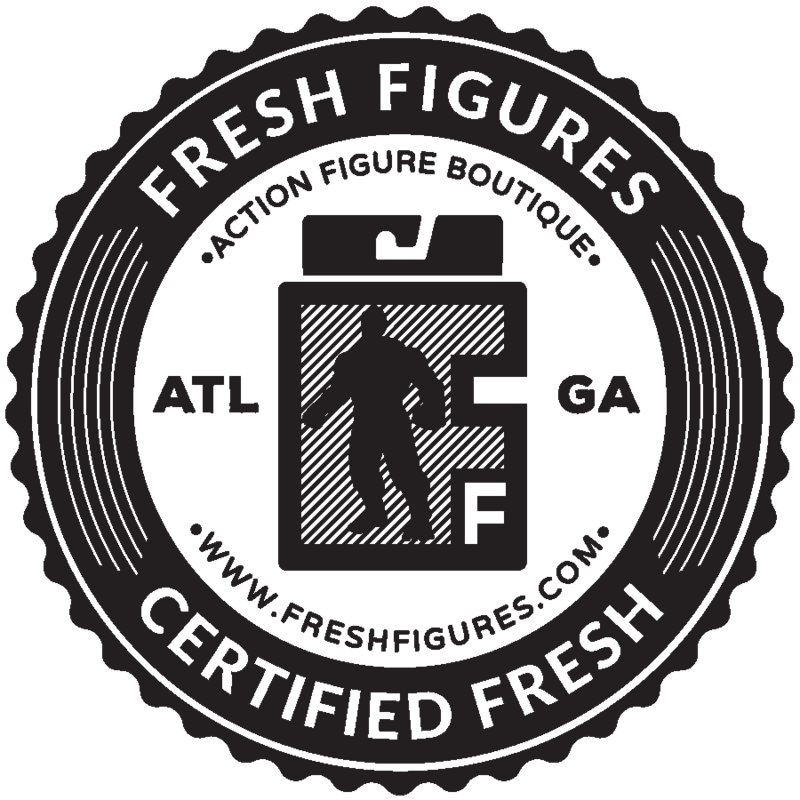 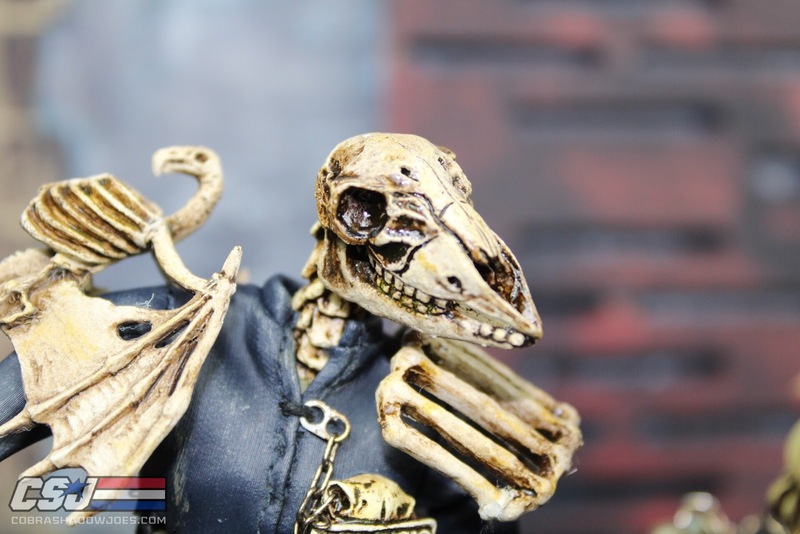 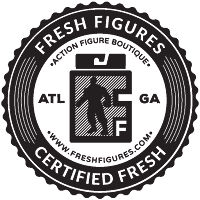 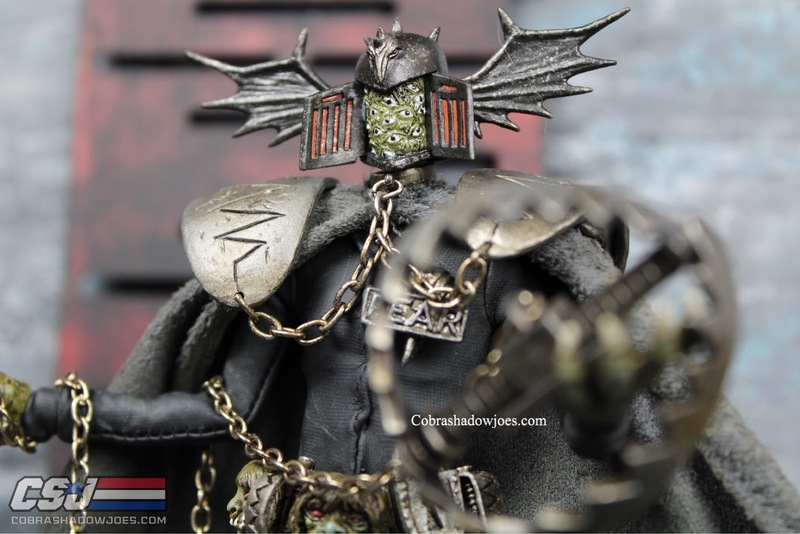 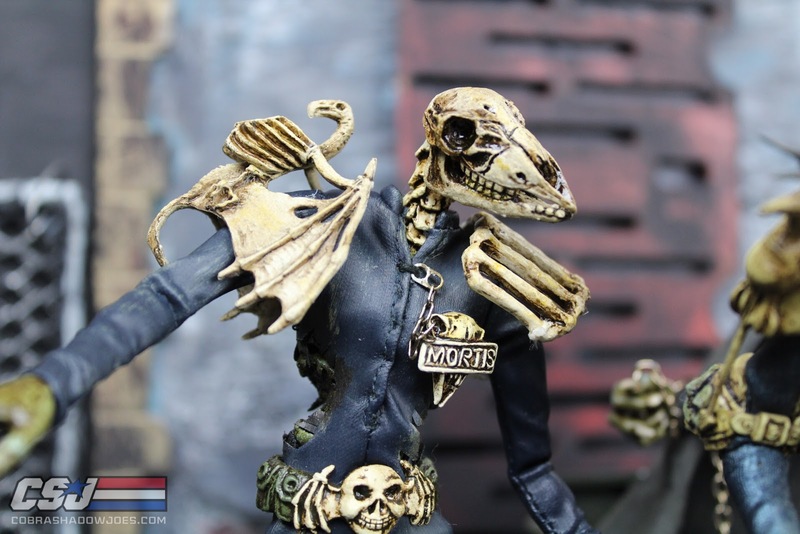 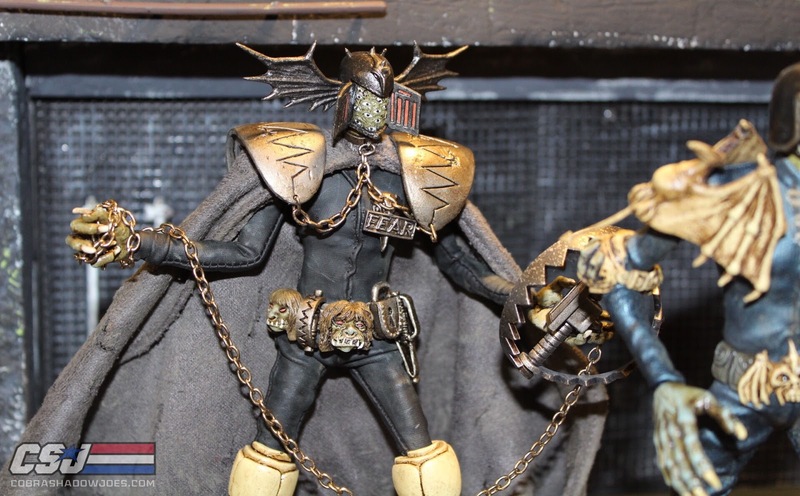 Each figure does include unique art that was done specifically for the figures. 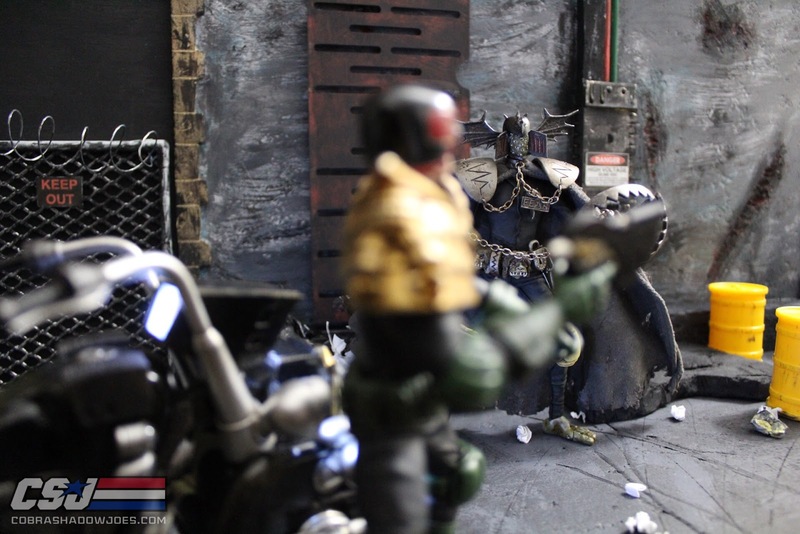 The heavy card stock back is so nice it was hard for me to cut the bubble off each figure to keep it clean. 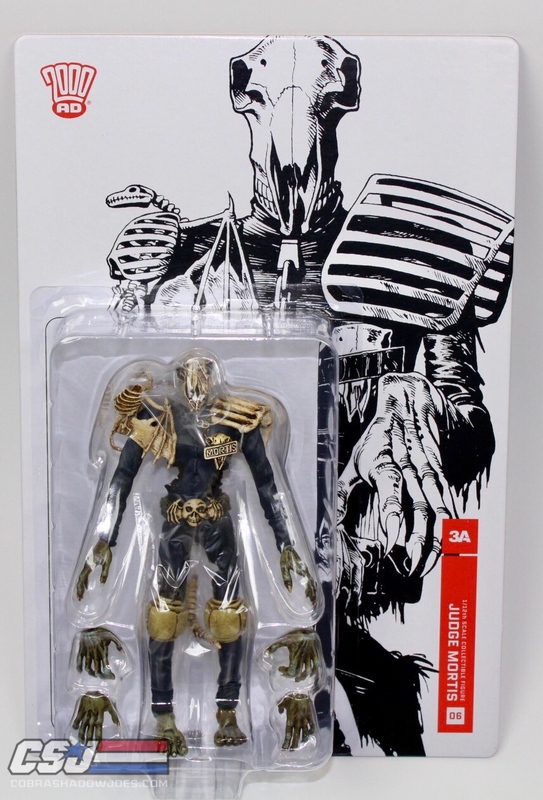 A lot of toy companies try different packaging but the classic look of just a backer card and figure is actually really cool just not resealable. 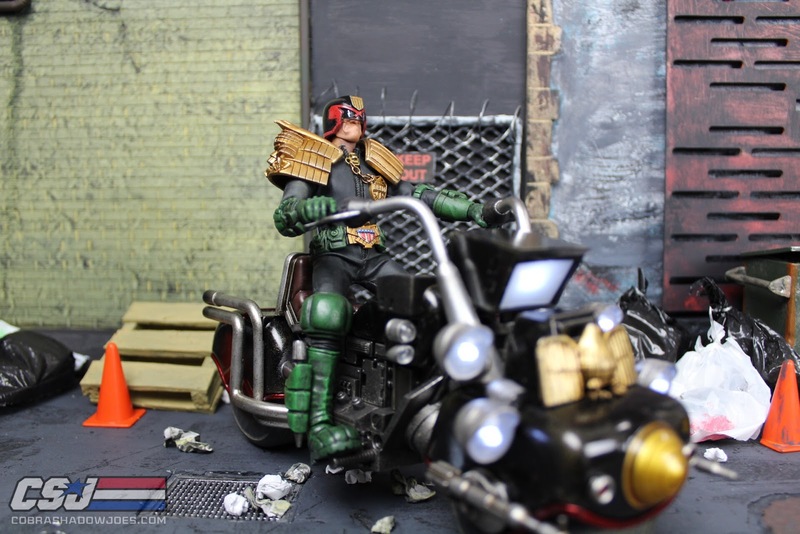 The Lawmaster comes in the same black and white look but in a small box holding the bike. 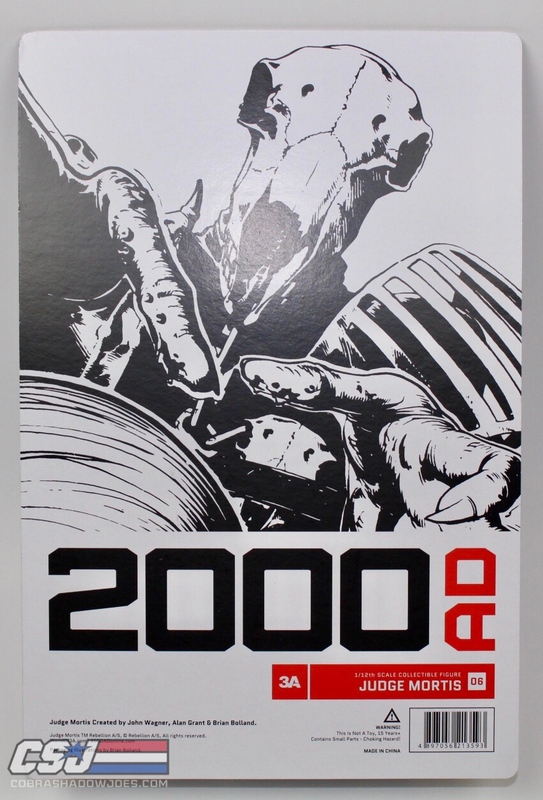 The art truly stands out for every ThreeA piece I own! 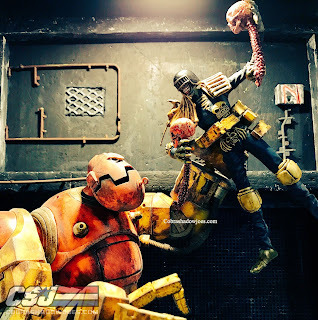 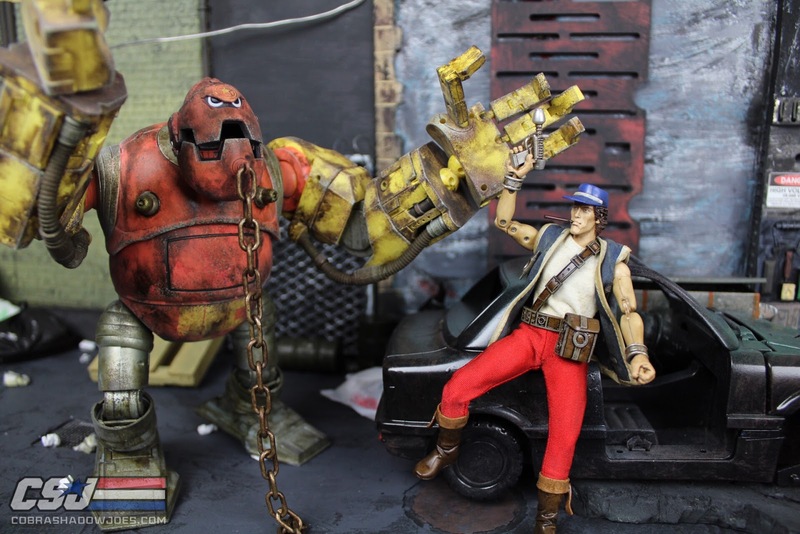 So many companies are trying to throw their hat into the toy making business, and Ashley Wood ThreeA has actually been making figures for longer than you think. 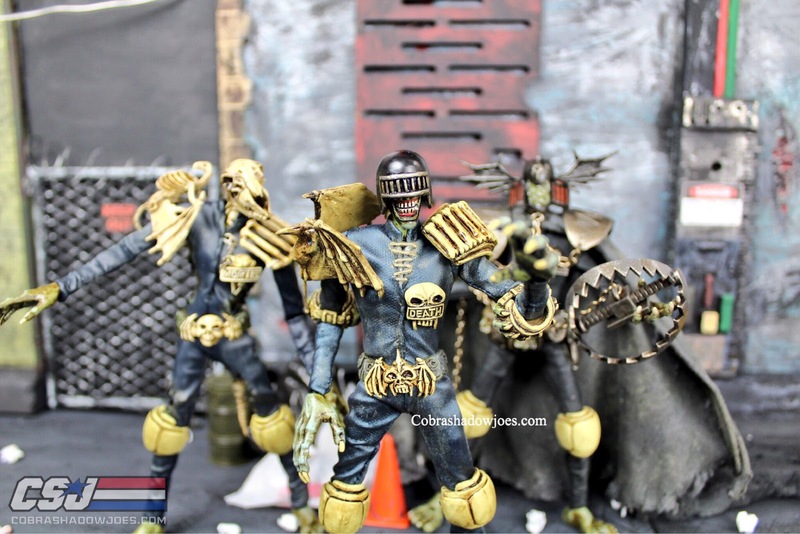 Their figure line goes back for about 6-7 years now and I just missed out on some of their initial hits. 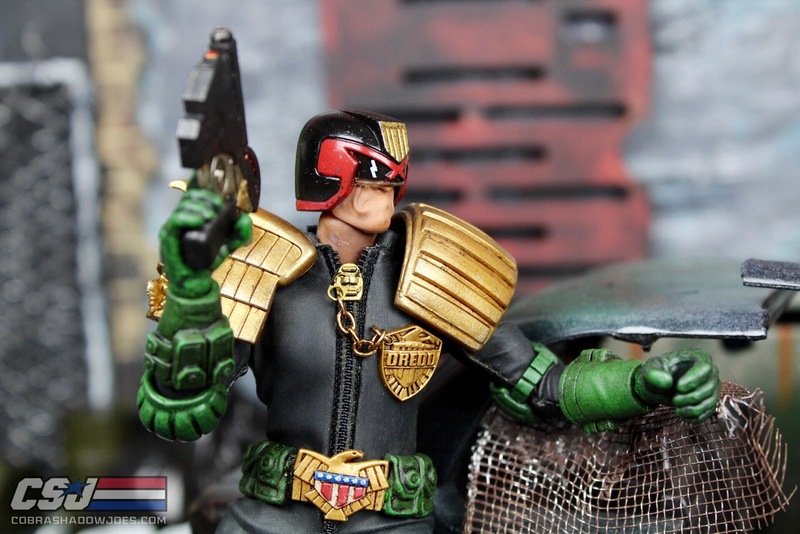 I picked up one of their ABC Warriors Mongrol, and I was literally pissed I waited so long to buy this figure. 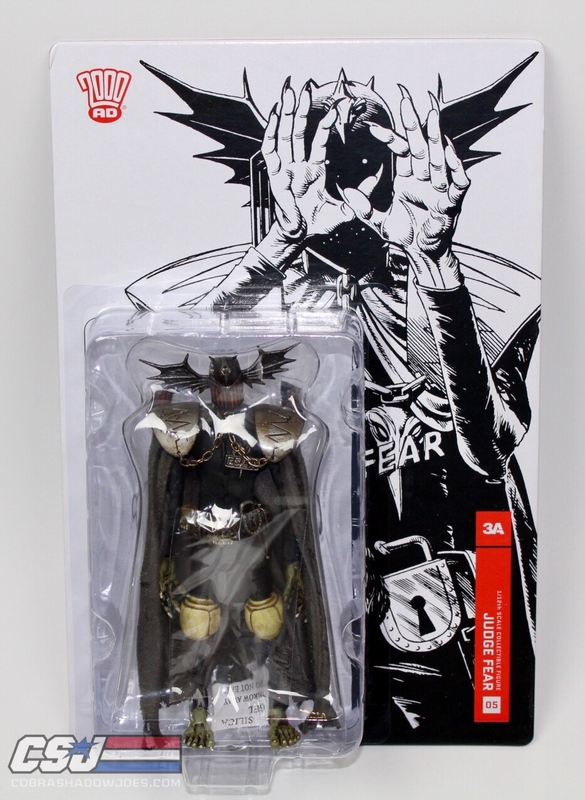 ThreeA makes high quality figures with paint schemes and added features that are hard to over look. 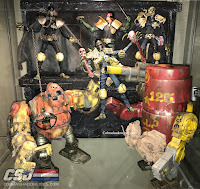 I currently have 7 total ThreeA figures and expect my collection to keep growing with some of the future announcements they have made. If you are a fan of the 2000AD universe then you will be happy to know they are expanding their line to include characters like Johnny Alpha and Judge Fire! 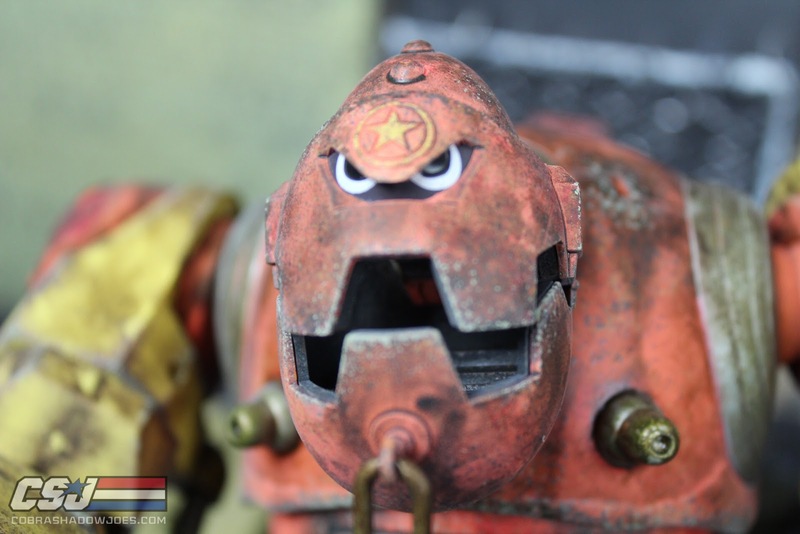 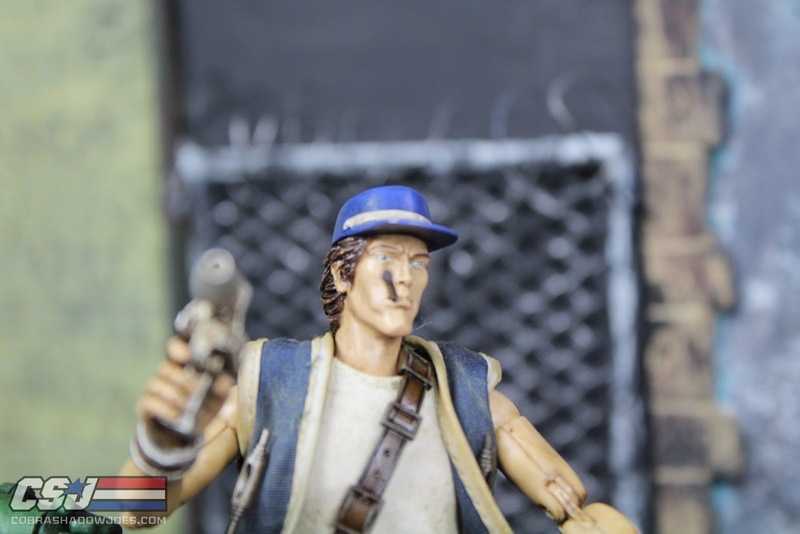 I am really happy with the time and investment I have recently made researching ThreeA, Ashley Wood, and the items they are providing to collectors. 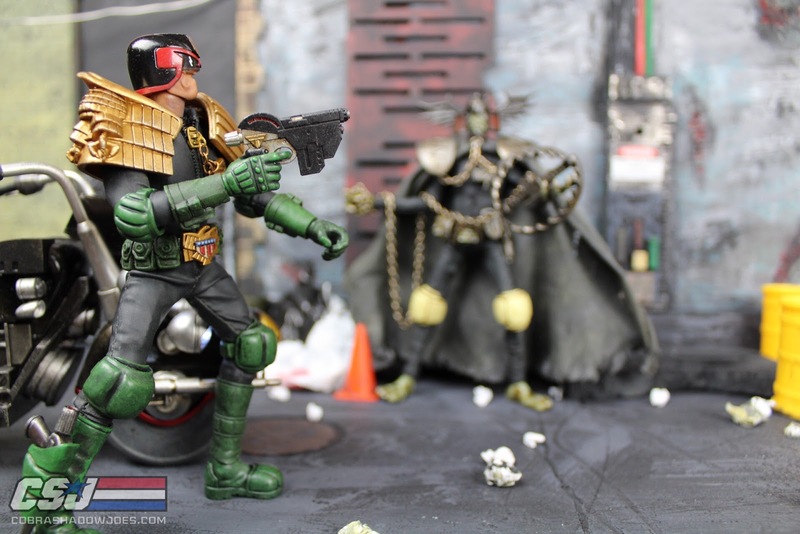 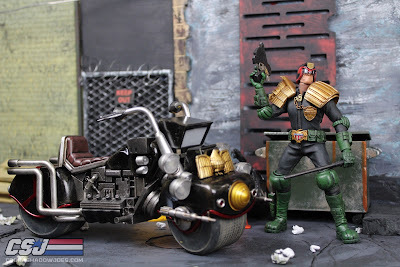 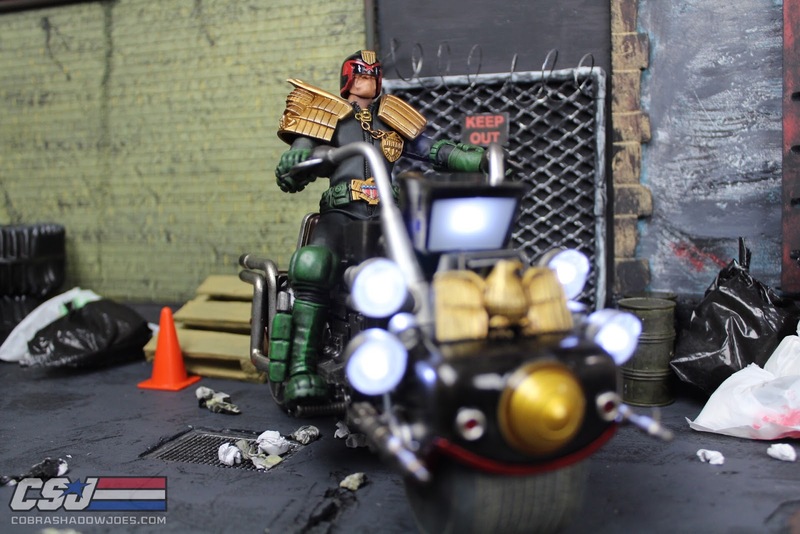 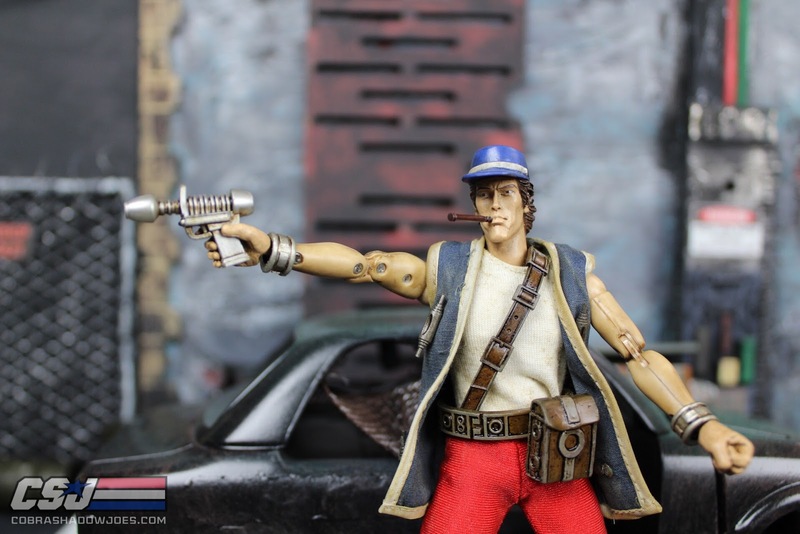 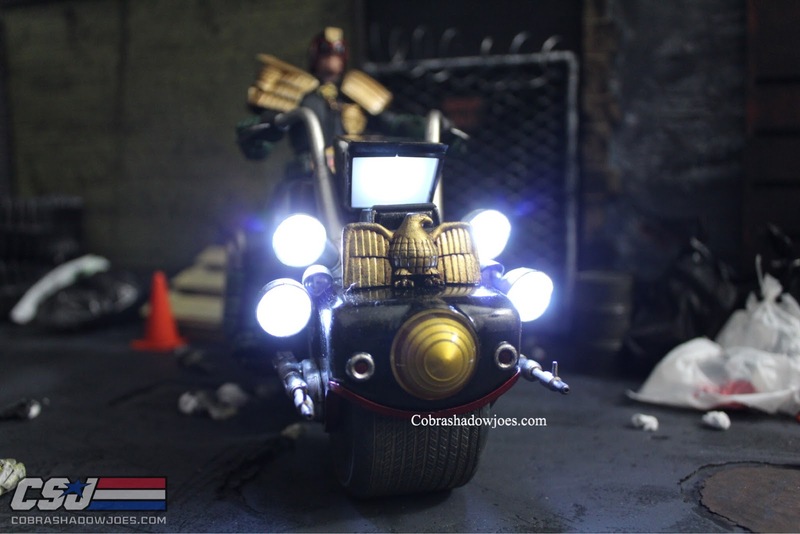 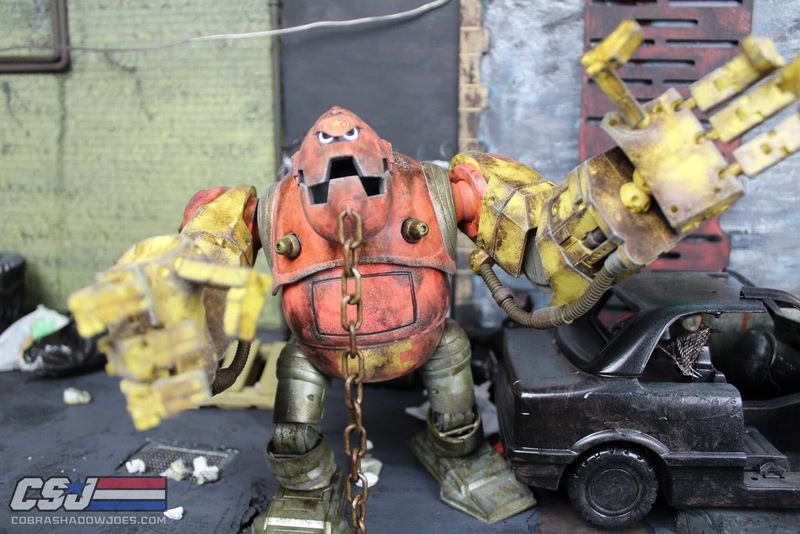 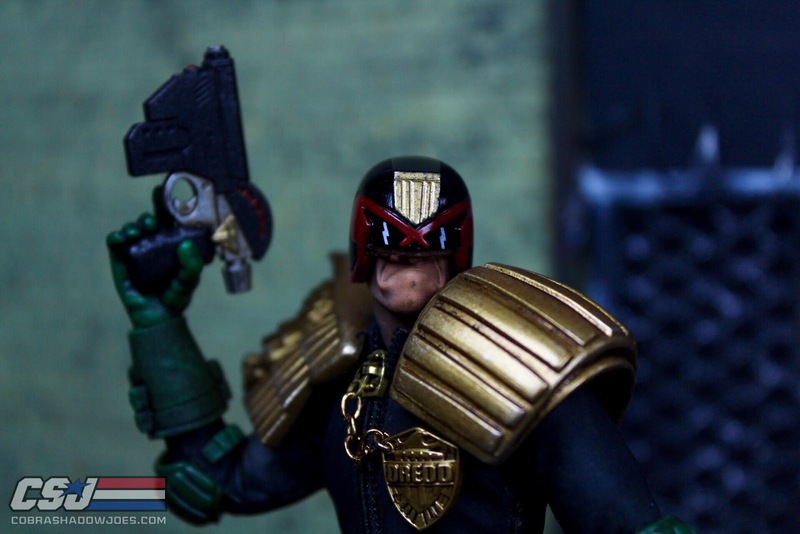 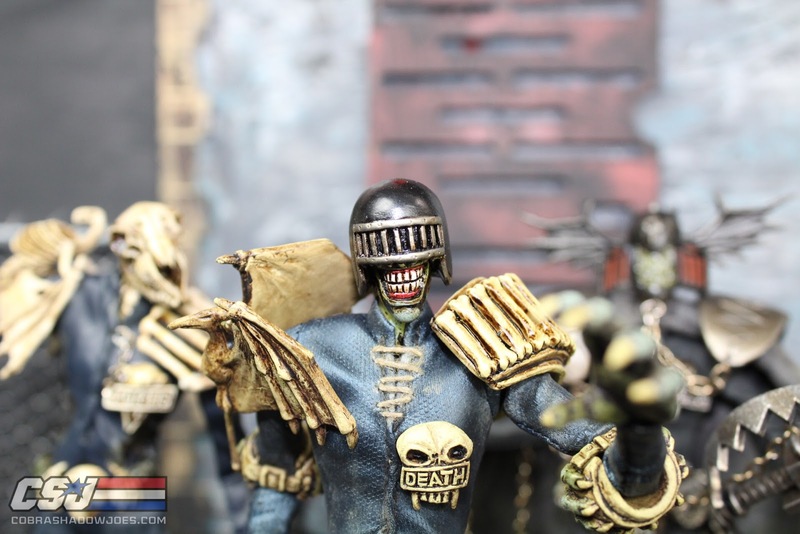 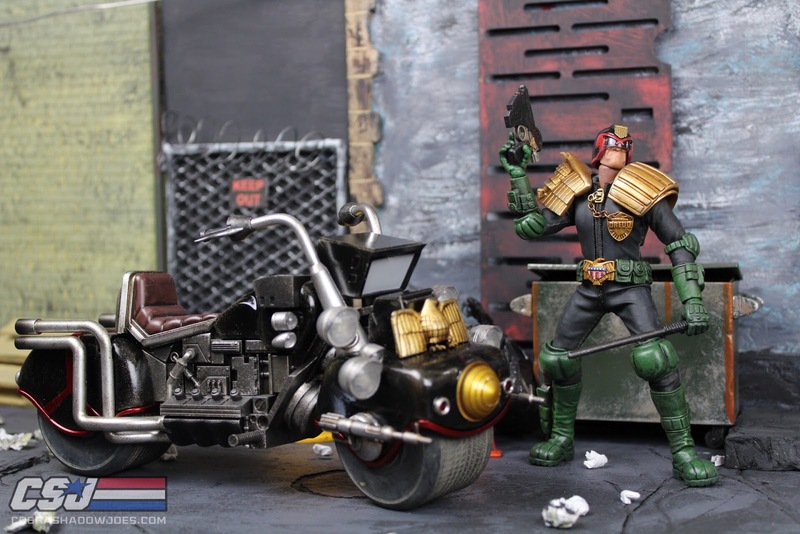 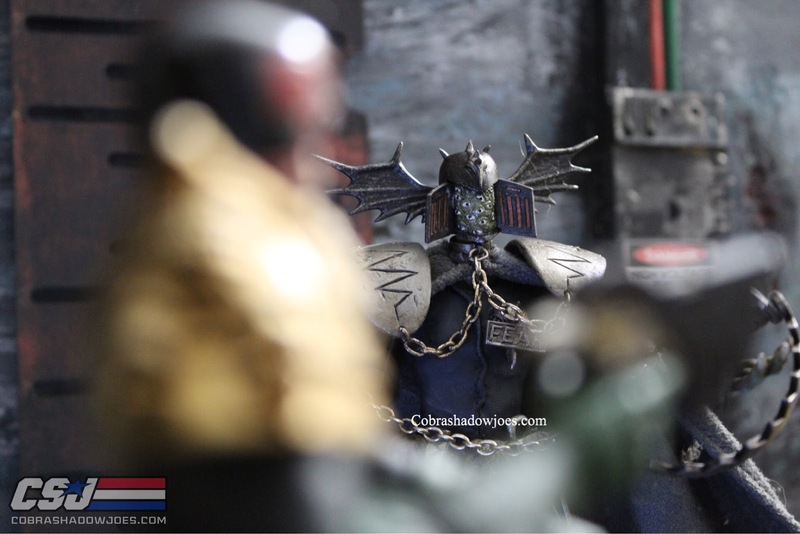 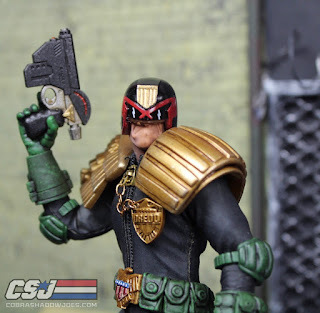 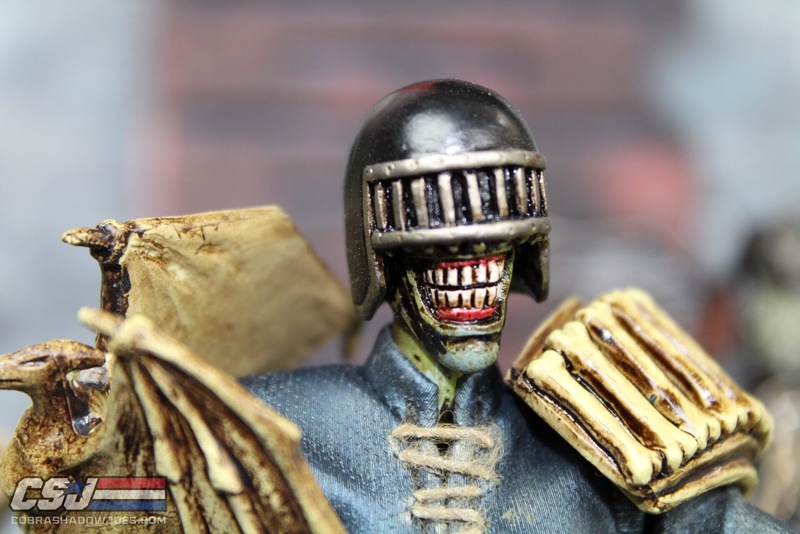 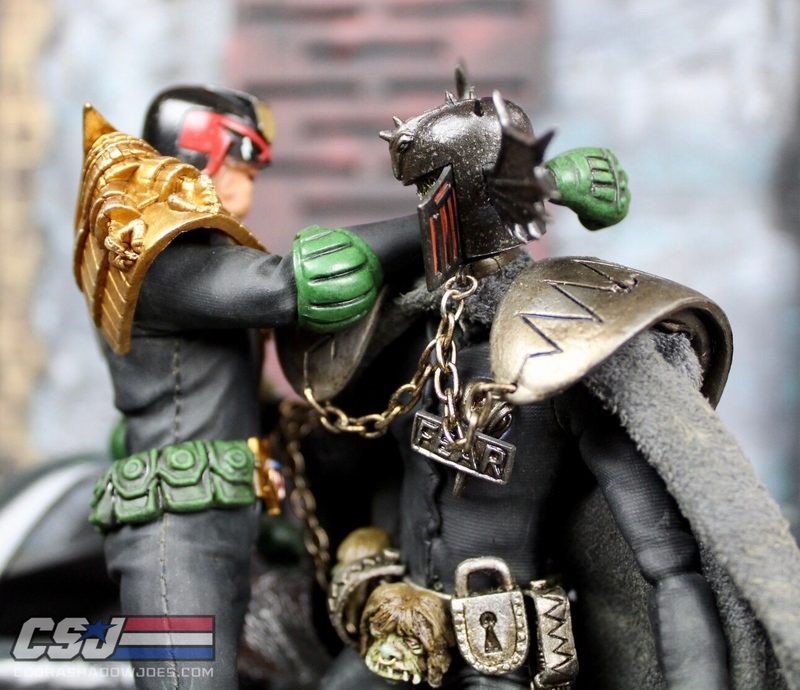 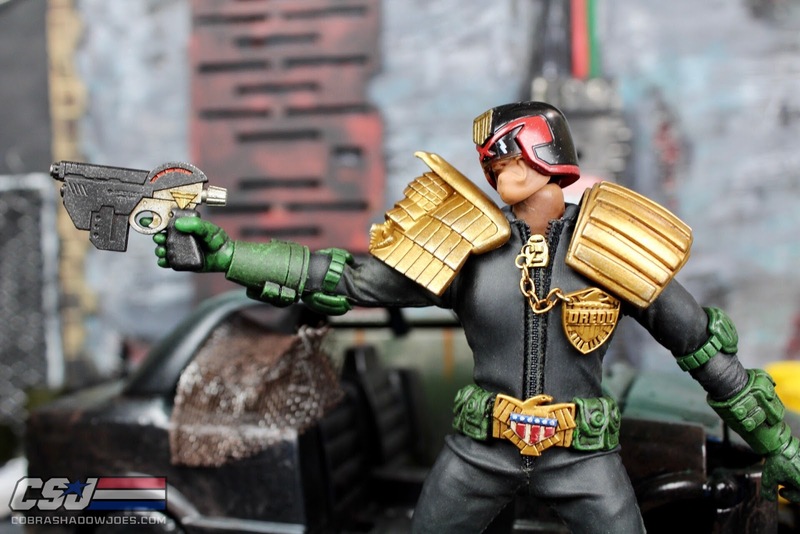 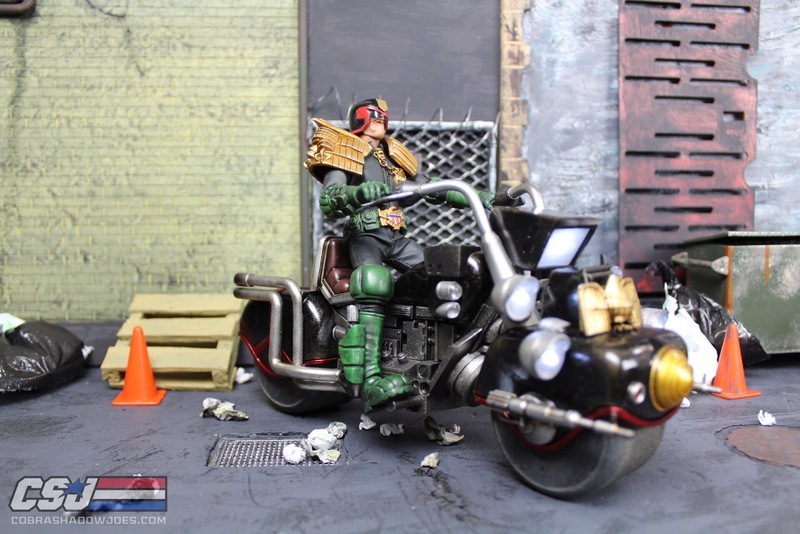 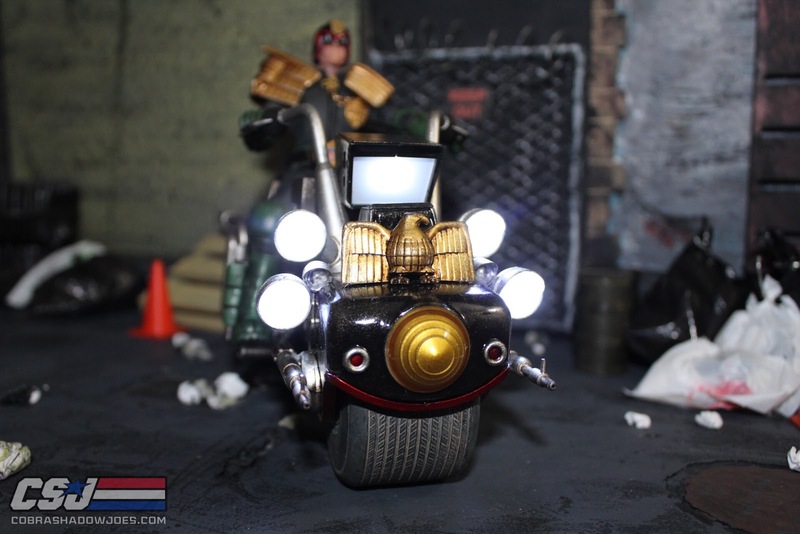 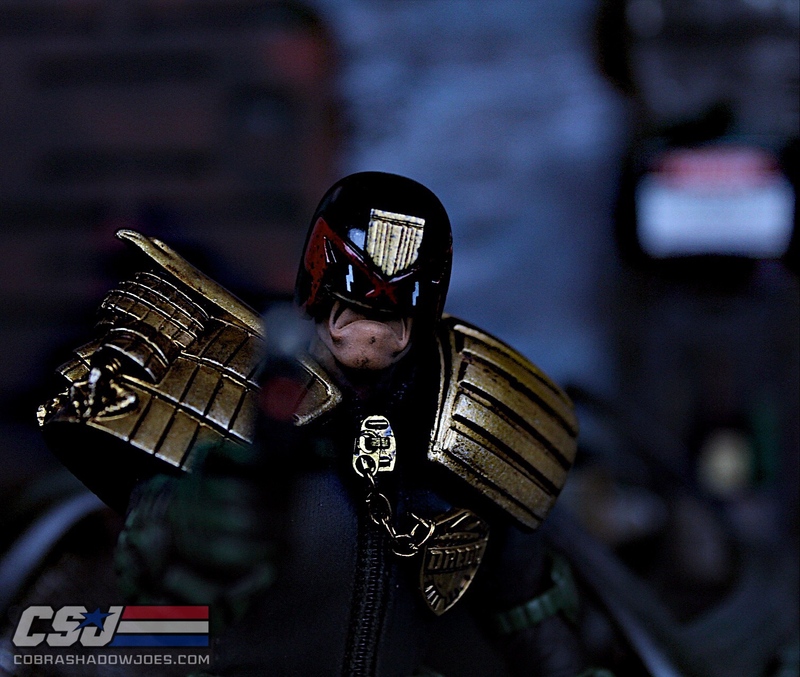 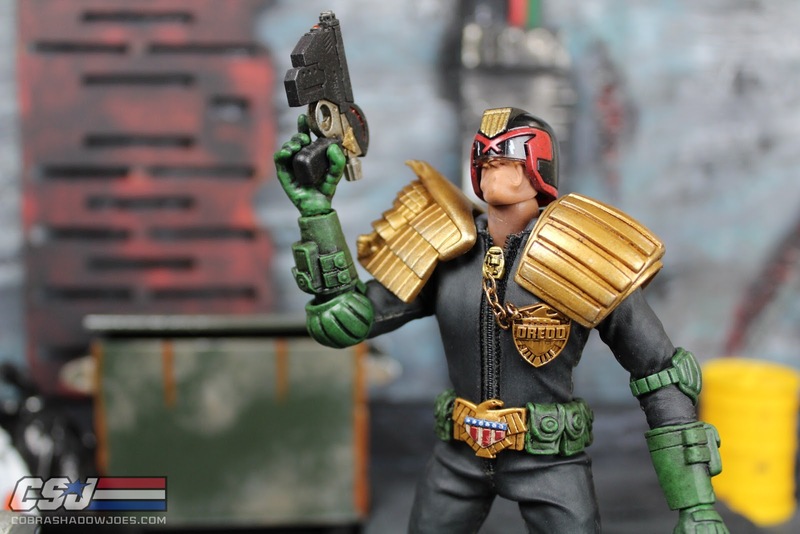 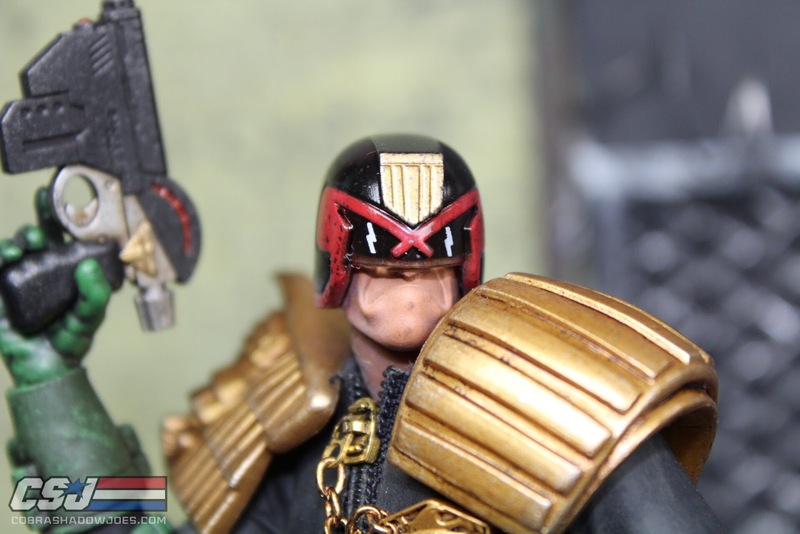 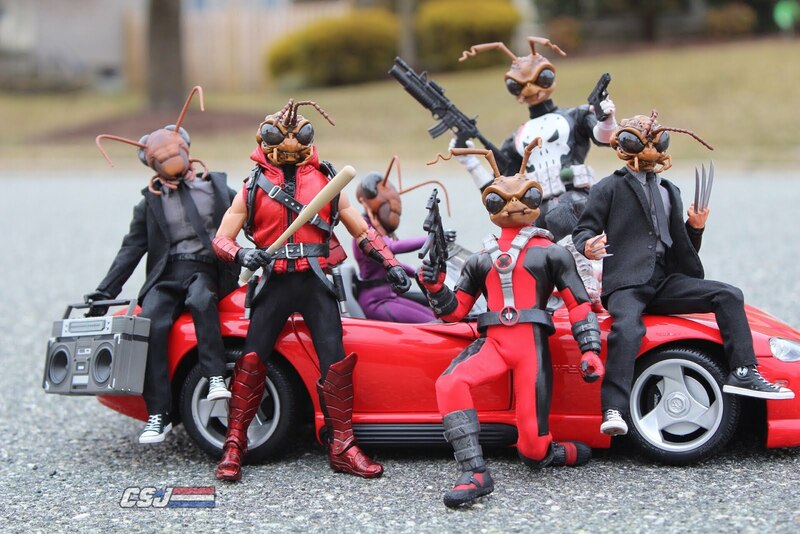 I am a huge fan of Judge Dredd, and the 2000AD universe and frankly beyond Mezco we haven't seen much quality product from other toy companies. 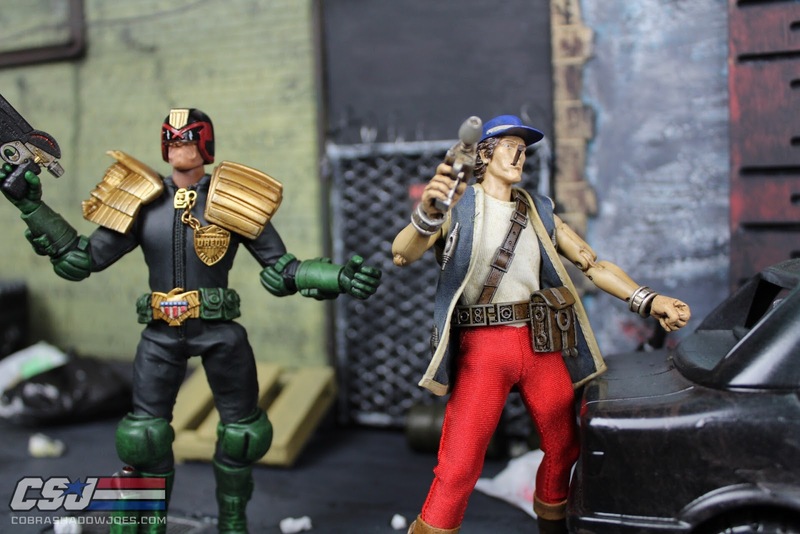 The figures are well made, detailed, articulated, and just a ton of fun to play with a pose just like my memories of previous comic stories. 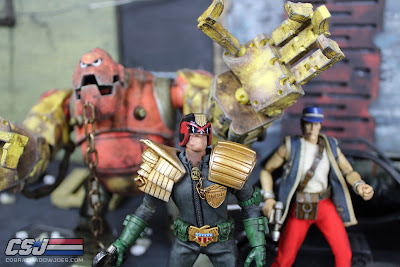 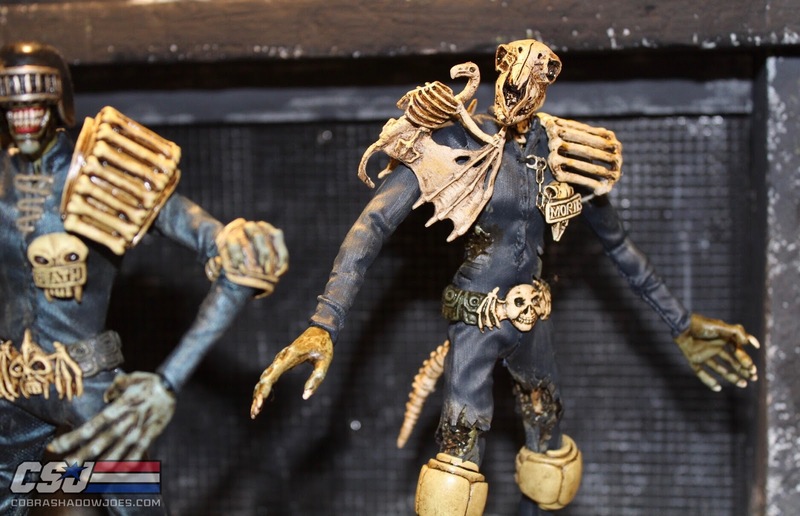 I really hope their future items really take off and they are able to bring us even more from the 2000AD Universe!